Like all families, we are a busy bunch. There is usually less than an hour in the evening during the school year to get my oldest home from the bus stop, changed and ready for soccer and then fed some kind of dinner before he has to leave for practice. As a result, I’ve perfected a few “go to” quick, easy and healthy meals that I know he will want to eat. 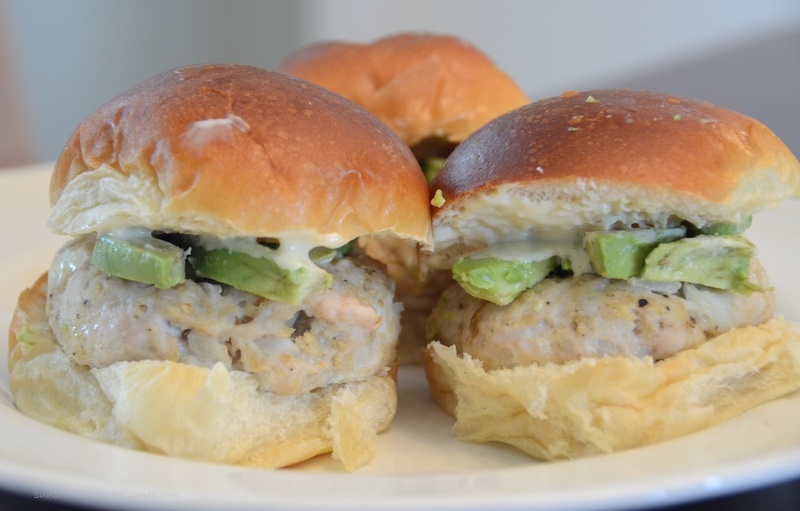 A favorite of my whole family is turkey sliders. From start to finish I can have these little guys on the table in less than 30 minutes. Preheat the oven to 350 degrees. Mix together all the ingredients above,except for the avocado. 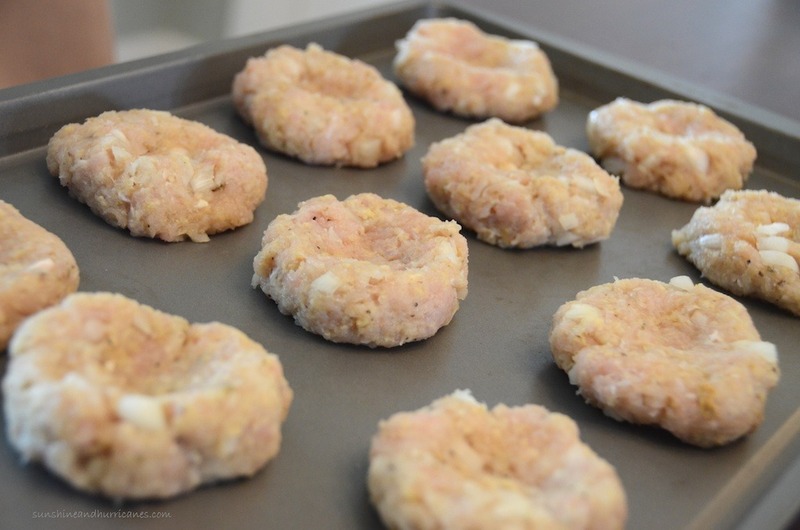 Take small handfuls of the mixture, roll into balls and then flatten into slider sized patties and place on a greased baking tray. Put a small thumb print in the center to help with more even cooking. 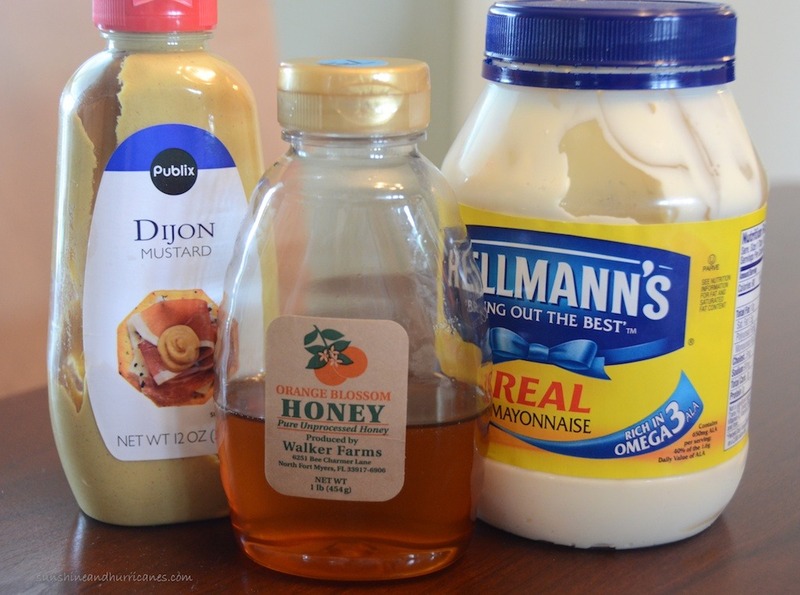 I usually put the dressing on the sandwich, but my kids like it in a little bowl so they can dip their sliders. Kids just think food tastes better when you can dip it. 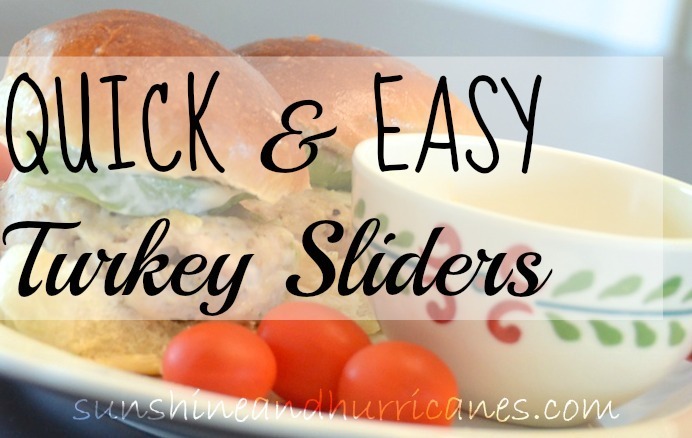 This recipe will make 10-12 sliders depending on how large you make them. I will often double the recipe and use them for lunches the rest of the week. Also, don’t be afraid to play around with this recipe. Sometimes I will dice up red peppers and throw them in the mix or I’ll even use a peeler to get carrot shavings and put them in. It can be an easy way to get your kiddos (and picky spouses) to eat more veggies. These look delicious, healthy and easy! I love adding avocado to anything! Perfect sandwich to have on the go or at a picnic now that the weather is warming up. These sound absolutely delish and like the perfect easy dinner! Now if I can just find turkey ground up! These sound so yummy! 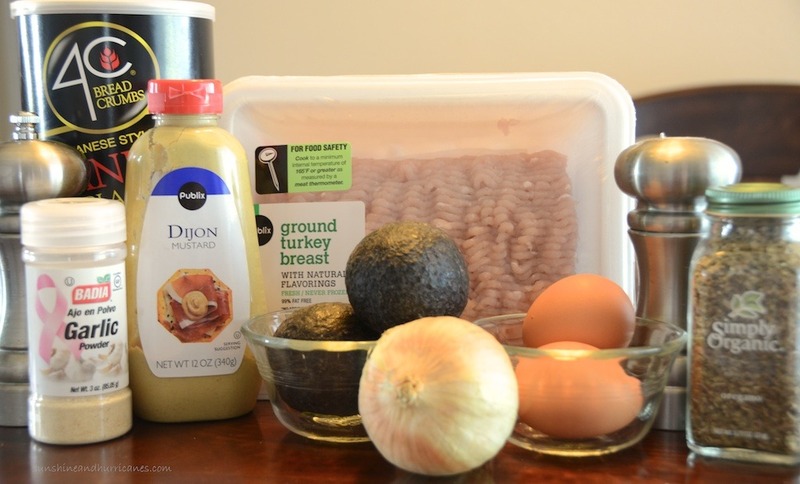 I love using ground turkey for recipes. I’m pinning Thank you for sharing with us at Wake Up Wednesday Linky Party.